This research guide is part of a campus wide curriculum on Frankenstein, funded by the National Endowment for the Humanities. Classes will explore how the infamous Mary Shelley novel relates to modern themes. Browse the content using the subject tabs above. There have been several film versions of Frankenstein, all of which show a drastically different version of the Monster than was originally portrayed by Shelley. A few of these are listed below. Click the title and then "Place Hold" to borrow from our library system. 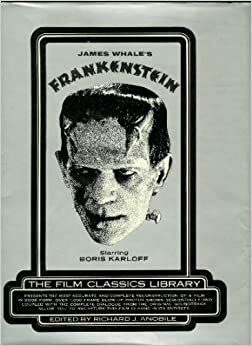 The most well-known version of the novel, starring Boris Karloff as the monster, was a major success & spawned many sequels. The first sequel, and the most critically acclaimed of the series, which also included one of the earliest fictional depictions of Mary Shelley. The third film in the series, and the last to feature Karloff as the monster. An Academy Award nominated film which parodies the clichés in previous Frankenstein films. Considered to be the most faithful adaptation of Shelley's novel. These books will help you interpret Frankenstein. The titles link to our library catalog. This is the first edition of the classic novel, which will be required for all participating classes. Unabridged audio book of the novel performed by Tom Casaletto. A riveting history of the men and women whose discoveries and inventions at the end of the 18th century gave birth to the Romantic Age of Science. Black American Frankenstein monsters appear with surprising frequency throughout 19th and 20th century U.S. fiction, film, essays, and art, and in works by both whites and African Americans. Roseanne Montillo brings to life the fascinating times, startling science, and real-life horrors behind Mary Shelley's Gothic masterpiece, Frankenstein. This photo book tells the entire 1931 movie in words and pictures.